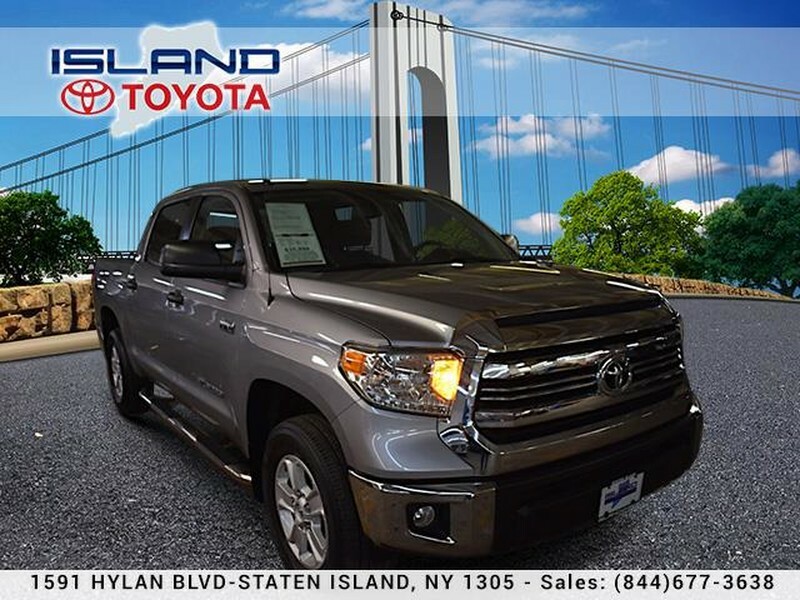 Island Toyota has a wide selection of exceptional pre-owned vehicles to choose from, including this 2017 Toyota Tundra 4WD. Do you encounter heavy snow, rain or mud when driving? No problem. With this vehicle, you've got the power of 4WD to help you overcome the toughest terrain. Low, low mileage coupled with an exacting maintenance program make this vehicle a rare find. The look is unmistakably Toyota, the smooth contours and cutting-edge technology of this Toyota Tundra 4WD SR5 will definitely turn heads. Based on the superb condition of this vehicle, along with the options and color, this Toyota Tundra 4WD SR5 is sure to sell fast.